All she wanted was to get better, but her eating disorder took the best of her. As journalists, we are taught to try and avoid voicing our personal opinions when writing an article, unless it’s a commentary piece on an ongoing situation, but I think it&apos;s crucial to share my story with everyone. I lost my sister due to her years of suffering from anorexia. She is a beautiful 22-year-old young woman with dreams and aspirations like all of us. She is strong and genuine. She is selfless and caring. She is a pure soul in every essence of the word, and she could light up an entire room with her smile. I use the word &apos;is&apos; instead of &apos;was&apos; because I refuse to talk about my sister in the past tense. She’ll always be with me as I will always be with her. She is not only my sister, she is my best friend, my mother, and my confidant. Reema was in a rehabilitation center for people suffering from similar cases. At first, she got better, but like any disorder or addiction, one can easily relapse. And that was what happened to her. We went from doctor to doctor, psychiatrists to therapists, we tried everything. All she wanted was to get better, but her eating disorder took the best of her. People around my sister and I were ignorant and completely oblivious to her disorder. They looked at her and often judged without even knowing the amount of pain and suffering she was going through. It devastated me, and I can’t even begin to imagine how hard it must have been for her. It shatters my heart into pieces. My sister suffered from a simple cold (pneumonia), which you and I could easily overcome. But due to her very weak immune system, her lack of nutrition, and her extremely frail physique, her body couldn’t handle it. She was in an intensive care unit (ICU) for two weeks, we couldn’t even go in and see her because her doctors were scared that any simple interaction with another human being could make her case worse. She was in an induced coma, and for two weeks, all my family and I were able to do was stand outside her ICU room and pray for her. I felt helpless and I felt hopeless. I knew Reema so well, I knew she was giving up. I knew she was dying. And all I could do was sit and watch her slip away. It was the hardest thing I’ve ever had to go through, and I wouldn’t wish it on my worst enemy. It baffled me when I spoke to people about my sister’s condition as they were completely unaware that such disorders even exist and can cost someone their life. Anorexia nervosa is a serious and fatal disorder. It’s the only eating disorder that can actually take someone’s life. Therefore, all I want to do is bring awareness to this cause for it’s a serious issue that many young girls are going through. It exists in our region and in our country, especially with this young millennial generation in an era of increased social media influence, coupled with the external pressure of looking thin and slim. Eating disorders are usually caused by numerous reasons like genetics, cultural environment, as well as being psychological. In our society, especially in the Gulf region, people are unconscious to what is happening to a person who suffers from an eating disorder. Individuals suffering from such conditions rarely think about it as eating food or wanting to be healthy and thin. They cope with their emotions by purging and bingeing. These behaviors relieve anxiety and stress, but in the long run, they may cause more stress, other serious complications, and can potentially be fatal. It’s mainly women and young girls who suffer from such disorders. They are a range of psychological disorders characterized by abnormal eating habits, such as anorexia nervosa. Eating disorders are not only physical but a mental illness too. Anorexia nervosa is a psychological and possibly a fatal eating disorder, defined by an extremely low body weight, fear of weight gain, and a false perception of self-image. It is caused by self-starvation and lack of appetite. In 2015, statistics showed that 1 to 4.2 percent of women had suffered from anorexia in their lifetime. It has the highest fatality rate of any mental illness and is estimated to take the lives of 4 percent of its victims due to complications. Bulimia is an emotional disorder characterized by a false body image and an obsessive need to lose weight. It is followed by fasting, vomiting, or purging. 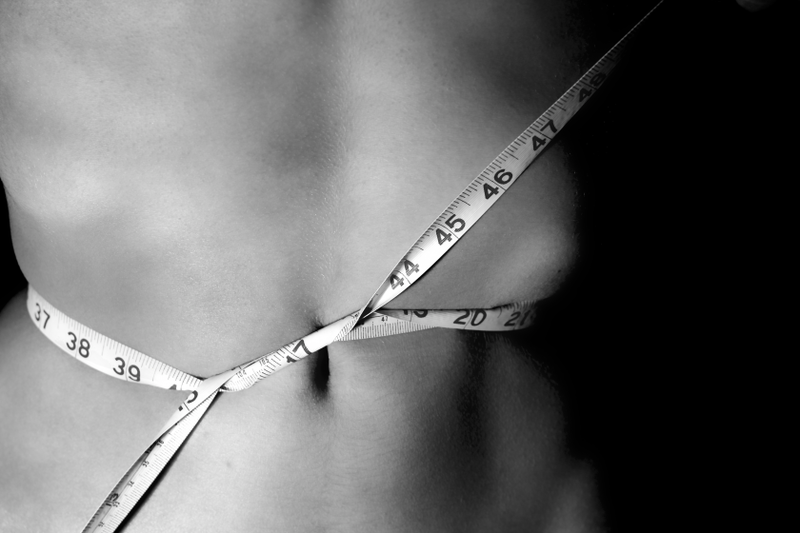 It is estimated that up to 4 percent of women will suffer from bulimia during their lifetime. Furthermore, 3.9 percent of these bulimic individuals will die. For people who are medically treated for bulimia, only 6 percent recover fully from the illness, while 5.2 percent die from health complications. Close to 43 percent of individuals suffering from Binge Eating Disorder will obtain treatment. Eating disorders are a constant struggle for 10 million women and 1 million men around the world. It is estimated that 4 out of 10 individuals have either personally experienced an eating disorder or know someone who has.